The Men's Calderdale II is a classic Regatta jacket with lots of features and minimal fuss. 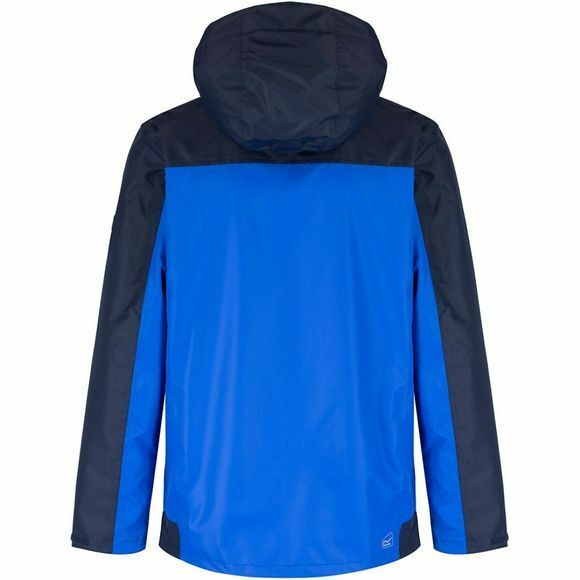 Waterproof and breathable Isotex 5000 coated polyester fabric ensures that you stay dry and regulated, complete with DWR coating for extra protection during rainy days. The jacket features two zipped chest pockets and a map pocket to keep those essentials stashed away, while two zipped hand pockets have been added for extra storage or extremity protection while it rains. 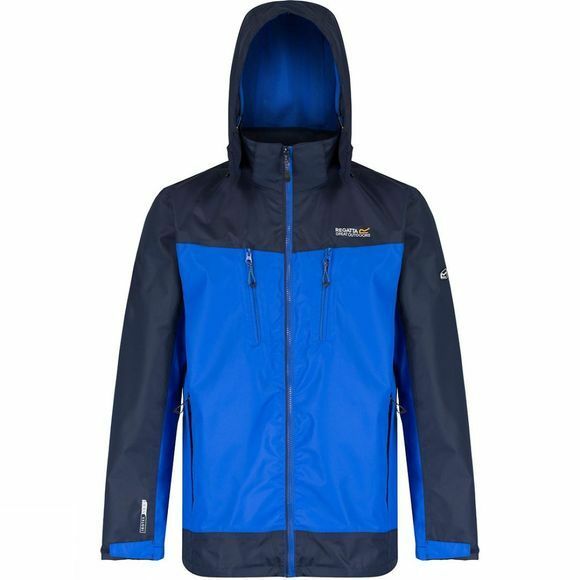 With a relaxed fit and soft touch lining it's a great jacket for slipping over layers in changeable conditions. The adjustable hood can keep you snug, and even rolls away when not in use. Adjustable cuffs and an adjustable shock cord hem help tailor the jacket to you, making it even harder for the weather to spoil your day. The Calderdale II is an ideal choice for anyone who is likely to get caught in the rain, whether they're hiking or simply heading to the local shops.